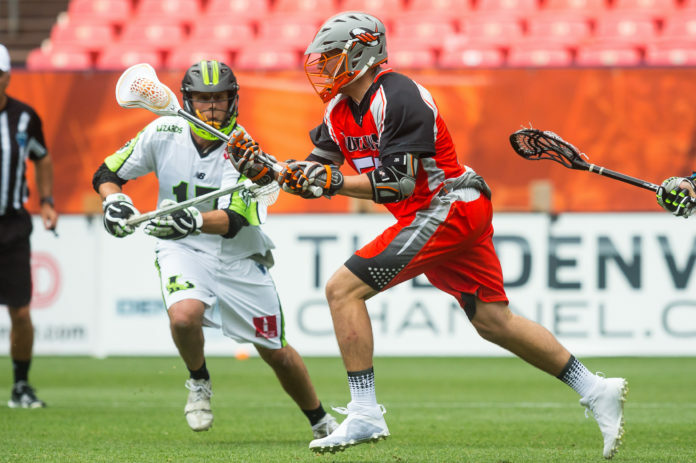 Wes Berg scored a career-high four goals, John Grant Jr. and Eric Law added three apiece and the Denver Outlaws held on to take down the first place New York Lizards 20-16 on a hot Friday afternoon at Sports Authority Field. The Outlaws were happy to return to winning ways, coming out on top for the first time since their 17-13 win over Boston on May 28. Despite giving up the game’s first goal, something the Outlaws have done all season, Denver jumped out to a 3-1 lead with goals from Law, Grant Jr. and rookie Nick Ossello. It was a veteran-led attack that allowed Denver to take control early. Outlaws rookie goalkeeper Jack Kelly played just his third game in a Major League Lacrosse uniform, but stood tall while stopping 17 of 31 shots. Kelly was named the game’s Most Valuable Player. 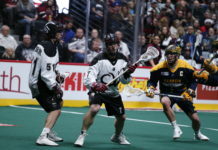 In addition to Kelly’s stellar play in the crease, the Outlaws went on a first-half stretch of five unanswered goals that Cohen attributed mainly to face offs. Drew Snider scored both of his goals in that stretch, putting the Outlaws up 8-3 before New York answered with two consecutive goals of their own, in route to a 10-6 halftime score in favor of Denver. 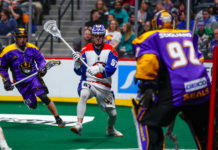 Colorado native and Wheat Ridge High School alum Nick Ossello played his first game in an Outlaws uniform, and as luck would have it, his first touch in a Denver uniform was the first of his two goals. 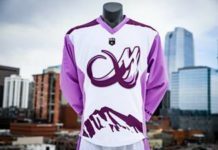 New York and Denver matched each other on goals scored in the third and fourth quarters, but despite Dave Lawson scoring a two-point goal to bring the Lizards within two, Berg scored two goals in a span of three minutes to pull the Outlaws ahead for good. Denver improves to 3-6 on the season, 19-4 all-time against the Lizards and stands just two and a half games out of the playoffs with five games remaining.